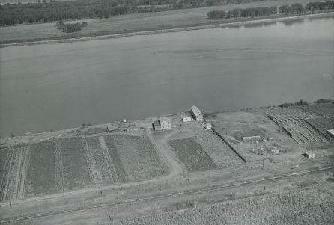 In the early days of statehood, the main commercial transportation route was the Missouri River. 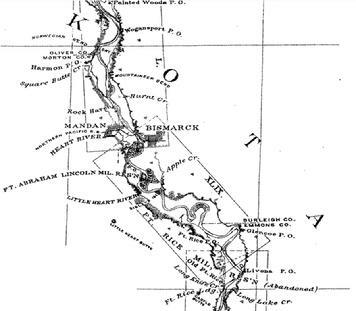 Even after the the advent of the railroad in the 1880s, the river still served as the main north/south route until the mid-1930s and the development of the national highway system. Steamboats used coal for fuel and when coal ran out, they used wood sometimes bought from farmers along the river. One refueling point was originally owned and operated by James Bellows (future president of Mandan's first Village Board elected in 1882). Originally known as Bellow's Landing, it was located seven miles northwest of what would later become downtown Mandan and included an icehouse. 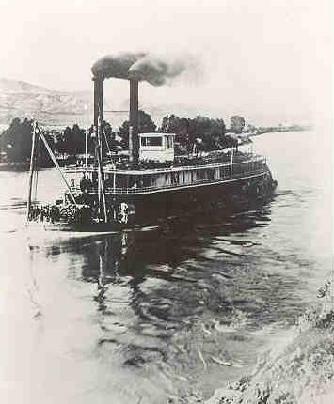 Historical records suggest the area started to serve steamboat traffic as early as 1832 when the riverboat Yellowstone reached Fort Union. 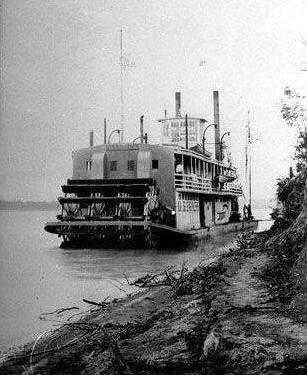 Regular steamboat service on the Missouri began in 1860. However the harbor was renamed "Rock Haven" when the US government took over the operation in the late 1870s . The Army Corps of Engineers made extensive riverside improvements, including adding dry-dock and boat repair facilities. It supported the supply ships for the US Army's frontier forts. It was credited as the best landing on the river. Unlike most river harbors, the area was permanent and safe even during spring river ice breakup. 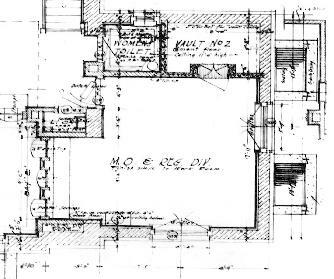 When the government designed a new building / Post Office for Mandan in 1912, space was included for the harbormaster's office. Snag boats were a vital part of river traffic. "Snags," usually trees, would catch in the river. Stumps would be cut off and the rest to float harmlessly down the stream. If the trees were too big they would be dynamited and cut in two. 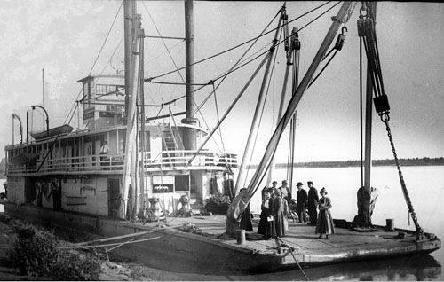 The paddlewheel "Mandan" was a government snag-boat launched in June 1893 from from a boat yard in Yankton, SD. It operated between Williston, ND and Sioux City, IA. Its mission was to keep the river channel clear to the many commercial boats that plied the Missouri. The steel-hulled snag-boat was equipped with ropes, pulleys, chains and large hooks, would move up steam, and in the manner catch the snags and pull them loose. 1912 US Corps Engineers Snagboat "Mandan"
Well known boats of that era were many: the freighter Josephine (constructed at the same time as the Mandan at Yankton), the Far West and the Jon Ordway plus a wide assortment of keel boats, dugouts, buffalo-skin bull boats and long flat bottom mackinaws. John D. Anderson was harbormaster at Rock Haven for over 25 years. But as the importance of steamboat transportation wained in the 1920s, the activity at Rock Haven slowed to a halt. Anderson's daughter Mary met and later married Charles Wunders. Wunders spent over 35 years on the river as an engineer on the snagboat Mandan. Eventually Wunders and his wife Mary retired to the Sioux City Iowa area. John Anderson finished his government career supervising bank stablization projects for the US Army Corps of Engineers, including the placement of rip-rap along the bank at Rock Haven. He and his wife Alma (Bruns) lived at a residence at the harbor. But after Anderson's death in 1934, Rock Haven was dismantled and sold. The site was closed to river service and sold to the Zachmeier family who live near by. The southern portion of the property was sold to Montana Dakota utilities in 1953 for the utility to build a coal-fired power station i.e. Heskett Plant in 1954.